CFC ABC invites you to give back to the industry and make the most of your CFC ABC membership by volunteering to serve on a committee. The advantages of volunteering include the opportunity to broaden professional relationships, gain expertise, and improve leadership skills, thereby benefiting your employer as well as your own professional development. For more information, please contact CFC ABC at committees@abccentralflorida.org. Provides mentorship and support to ABC/UCF Student Chapter through recruitment of speakers for student meetings, assists in National ABC competition preparation, and maintains an ongoing relationship between UCF college students and central Florida commercial construction industry. The Student Chapter is comprised of current students studying Civil Engineering and Construction Management, or students who have an interest in the commercial construction industry. 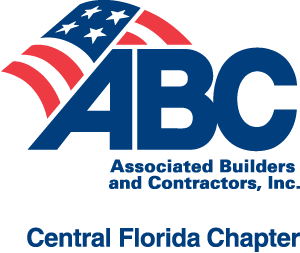 Develops relationships with owners, developers, and construction users in the Central Florida community to create connections and promote ABC members through the production of Builders’ Breakfast meetings. Provides business development opportunities for CFC ABC members in a social and active environment through annual golf outings. Develop issues and legislative agenda for the association, support Legislative Conference, and develop grassroots support for key legislative initiatives. Builds a stronger Central Florida commercial construction community and association through the promotion of the organization, the cultivation of relationships with new member outreach and orientation programs as well as engagement with existing members at CFC ABC events and activities. Organize and produce motorcycle owner events to provide networking event for ABC members. Builds community through production of networking and showcasing events, promoting CFC ABC members. Professional networking events, which are scheduled before, during and after office hours, allow ABC members to market products and services while developing key relationships, and connect with other professionals and business leaders. Encourage and promote a safe working environment in our construction community. Focus is to increase the number of qualified construction workers gaining employment in the construction industry through the Workforce Fund; Ensure continued funding of the Workforce Fund; Review grant applications and make recommendations to CFC ABC Board of Directors; Support the development of high-quality new and existing apprenticeship programs through the Workforce Fund; Target is two-fold: 1) Pre-Apprenticeship training programs and 2) Apprenticeship training programs. Aims to shape the future of our industry by supporting the growth of young professionals employed by CFC ABC member companies. The program creates opportunities for young leaders to build relationships, expand their skills and advance their careers while continuing to promote open competition and the merit shop philosophy.